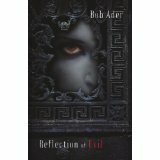 My novel, Reflection Of Evil is now available as a Barnes & Noble Nook book. This saves you more than 50% off the soft cover price. Just go to www.barnesandnoble.com, go to the Nook Book section and look under my name - Bob Ader - and order yours today. You can also copy and paste the link from the home page of this website. I am now in reherasal for Laughter On The 23rd Floor at the Flat Rock Playhouse in North Carolina. I will be playing the role of Val, the headwriter with the outrageous Russian accent. Previews star April 3rd and we open offically on the evening of April the 5th. If you're in the area come and see the show.